After weeks of teasing fans with countdown fan signs on his social media highways, Justin Bieber has finally let loose his latest single, What Do You Mean? The song is produced by Cali The Producer and Skrillex, with whom he had a recent collaboration in Where Are Ü Now. Updated: Recent updates from Rolling Stone said that the song was not produced by the two above but by Bieber and MDL Productions. This new (lead) single is a smooth, savvy and easy-to-listen-to tune that will surely stick in your mind. Just now the lyrics video has been released for you to enjoy and anticipate the coming of his upcoming fourth studio album. 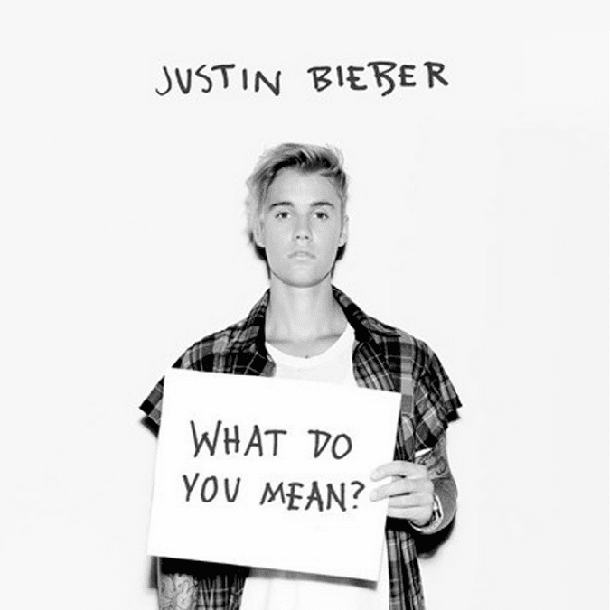 Sing along with the new What Do You Mean? lyric video. This lyric video was directed by Laban, featuring skateboarders Ryan Sheckler and Chelsea Castro. The official music video, on the other hand, will premiere on August 30, 2015. It was said to be directed by Brad Furman. The wait is over. Here is the official music video of What Do You Mean by Justin Bieber. The yet to be titled album will be released on November 13, 2015. The official track listing is still in the wraps, but if this song proves to be a mould for the entire album, then I am sold. This feel-good beat is enough to convince me of what's next to come from Justin Bieber.